(PR) (Harrisburg, PA) – Trenton rallied for two runs in the ninth against former Thunder hurler and current Washington Nationals big-leaguer Christian Garcia and won for the seventh straight game, taking the series opener, 4-3, Friday night at Metro Bank Park. 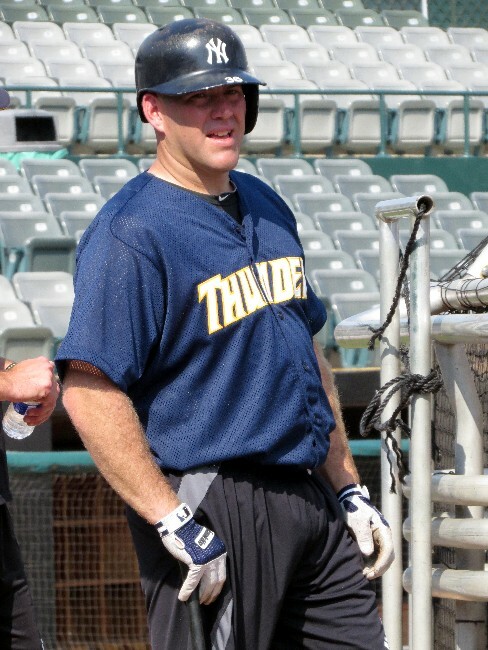 Kevin Mahoney and Ali Castillo had RBI singles against Garcia (0-1) who was beginning a Major League rehab assignment, and the Thunder earned their fourth ninth-inning comeback win in the last week. Leading 3-2 entering the ninth inning, Harrisburg called on Garcia, who pitched in parts of three seasons with Trenton (2008-10) and is on his way to back to Nationals following a forearm injury. The leadoff batter Jose Pirela reached when third baseman Jose Lozada threw wildly on a routine groundball. Neil Medchill followed with a single putting runners on first and second. 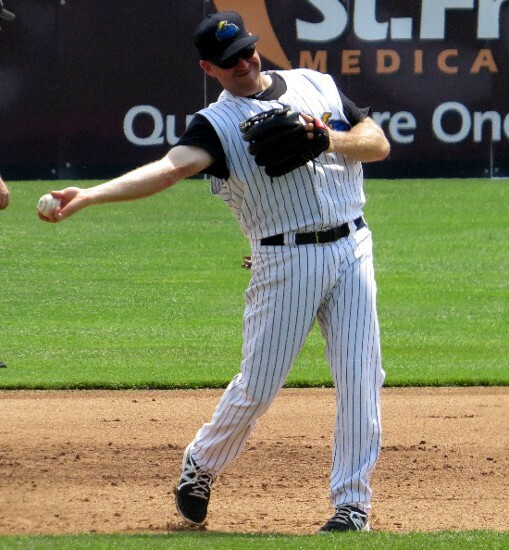 After Walter Ibarra sacrificed each man into scoring position, Mahoney fought off a tough pitch into shallow left field for a game-tying single. Castillo followed with a sharp line drive single to left, bringing in Medchill with the go-ahead run. 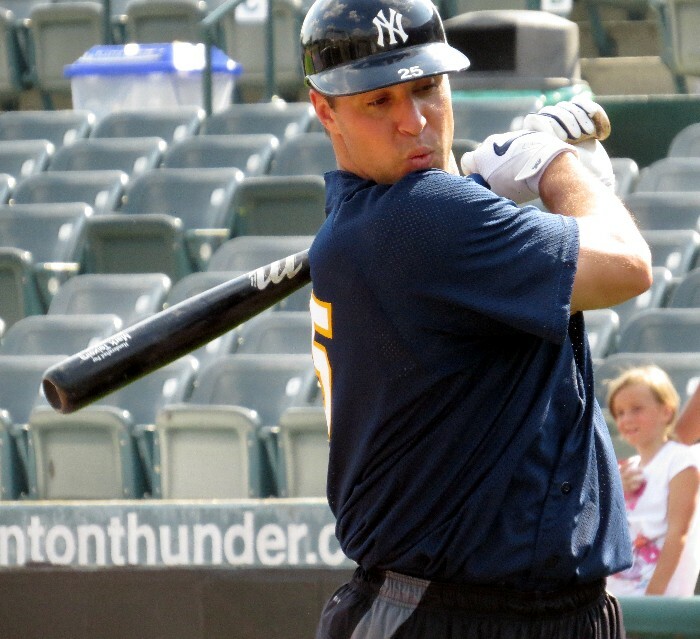 Trenton had rallied from a 4-1 ninth-inning deficit to win in 12 innings Thursday against Erie. Tommy Kahnle pitched around a one-out single in the bottom of the ninth to record his eighth save in as many opportunities, striking out the final two Harrisburg batters on hard fastballs. Matt Daley (3-0) recorded only one out in the eighth inning but was credited with the win. 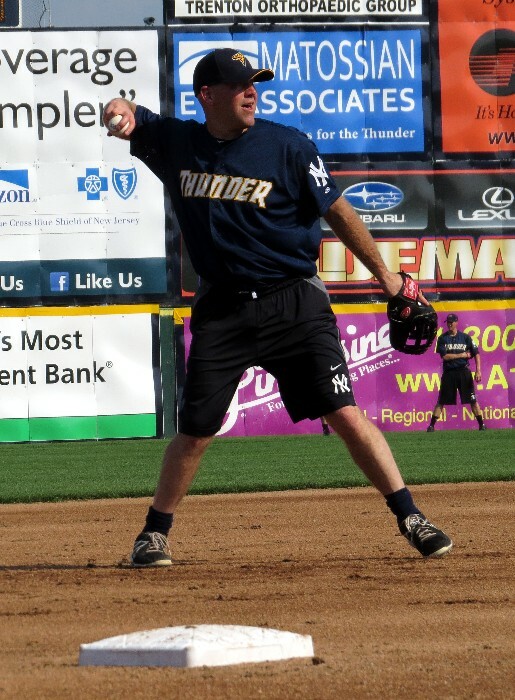 A solo home run from Kyle Roller (7) and an RBI double from Slade Heathcott against Senators starter Paul Demny had given Trenton a 2-1 lead into the bottom of the seventh. Matt Tracy started for the Thunder and allowed only one unearned run in 5.1 innings, and has not allowed an earned run in his last three starts. But Harrisburg touched new Trenton reliever Cesar Cabral for two solo home runs in the seventh to take the lead, the first from Justin Bloxom (3) and the second from Sean Nicol (2). Cabral, who is on the Yankees’ 60-day DL but has never pitched above Double-A, joined the team before the game on Major League rehab. The second game of the series will be played Saturday night beginning at 7:00 pm. Right-hander Jose Ramirez (1-2, 2.59) is expected to start for the Thunder while the Senators counter with righty Caleb Clay (4-2, 4.31). Radio coverage on 91.3 FM (WTSR) and also streaming online begins at 10:15 am. I’ve been toying around with some sort of piece on the best Eastern League starters from the past three seasons, and I thought it would make sense to go out to Reading on a day off and see Jesse Biddle. Biddle, a top pitching prospect for the Philadelphia Phillies, was solid through seven innings of work. Solid…but the spectacular went away after the first two innings. He struck out three of the first five batters he faced, but just three more past that. He did go seven innings, however, which is more than can typically be said of many starting pitching prospects. He used a fastball that sat at around 92-93 MPH, and a slow curveball that ranged anywhere from 69-73. Biggest issue with him, in my opinion, is not utilizing a third pitch much at all. Anyway, I shot his first three innings tonight — I’m sure Josh Norris will have a fancy reel of all his strikeouts, since we made the trip up together — and here they are for your enjoyment. 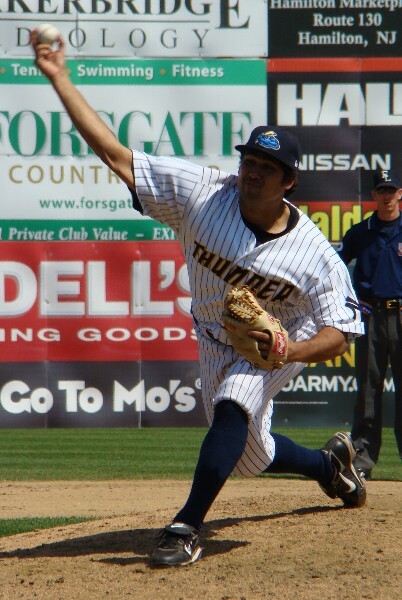 (PR) The Trenton Thunder, Double-A affiliate of the New York Yankees, announced Friday that LHP Cesar Cabral, a member of the Yankees’ 40-man roster who is currently on the 60-day disabled list, has been transferred to the team from Class-A Tampa to continue his Major League rehab. 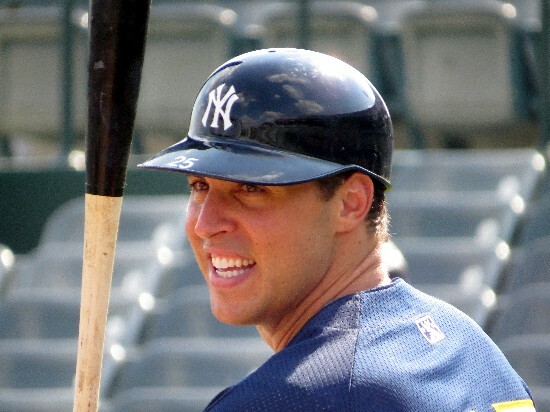 Additionally, the Major League rehab for both Mark Teixeira and Kevin Youkilis has ended. Cabral, 24, made five rehab appearances this season with the Tampa Yankees and went 0-0 with a 2.57 ERA (7.0 IP, 6 H, 2 R, 8 BB, 5 K). He missed the entire 2012 season with a left elbow fracture suffered during Spring Training. 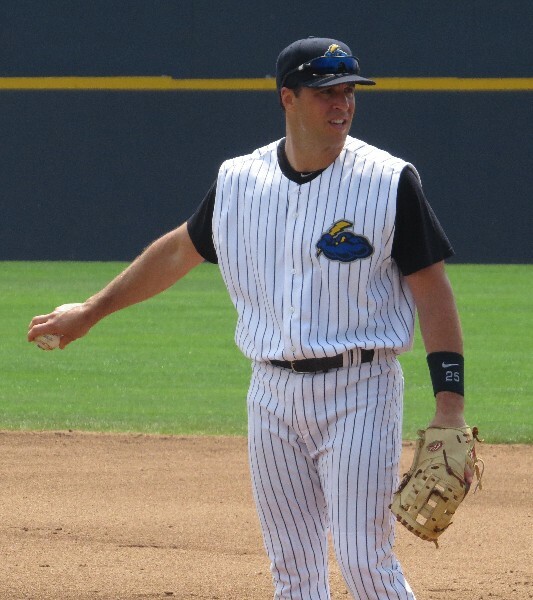 The Yankees acquired Cabral in a trade from the Kansas City Royals following the 2011 season, only weeks after the Royals had selected him in the Major League Rule V draft. Cabral spent the first six years of his career in the Red Sox minor league system and has never pitched above Double-A. 5:35 PM — Both players will each play seven innings again. 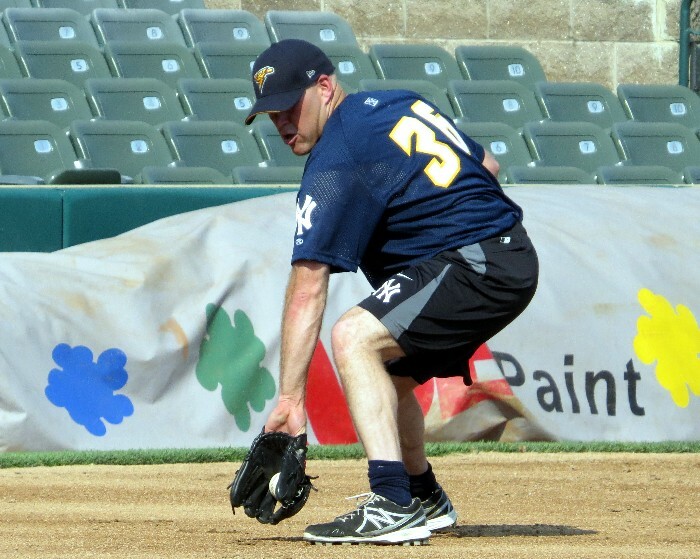 The reason they moved up a spot in the lineup was a call from Pat Roessler. Like yesterday, neither player was made available to the media prior to the game…so that’s about all I’ve got for you. No word on if the plan is for Teixeira and Youkilis to play seven innings again, as was the case last night…but that seems like a safe bet. 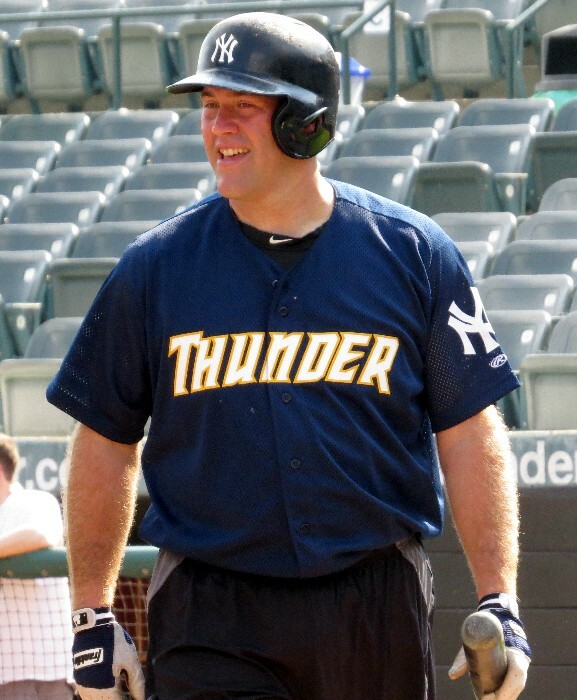 As Mark Teixeira gets ready to make his second and likely final appearance in a Thunder uniform tonight, it was hard not to think about the “Tex” that was here the whole season. Back in 2009, reliever Kanekoa Texeira won over fans with solid pitching — 9-6 with a 2.84 ERA in a career high 101 1/3 innings — and a fantastic attitude. The Maui, Hawaii native always had a smile on his face, and even threw his warmup pitches to theme song from “Hawaii Five-O,” an homage to his heritage and his jersey number, 50. Picked in the Rule 5 Draft by Seattle a year later, he found himself in the big leagues. Even after he got let go by the Mariners, he seemed to find a home with the Kansas City Royals, for whom he made 33 appearances over the course of two seasons. In short, everything was good for the now 27-year-old righty. And then that stopped. 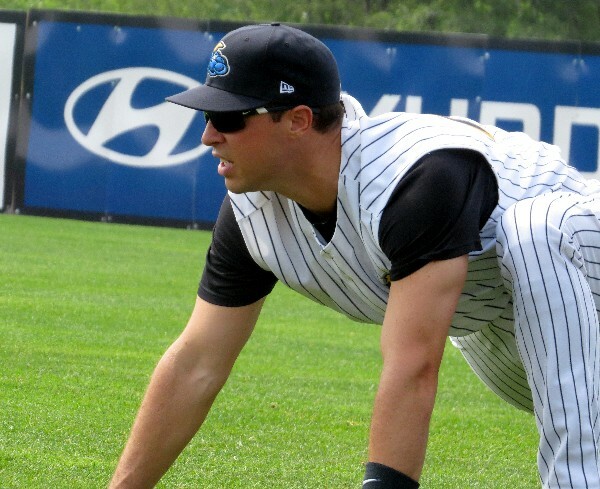 Texeira got let go by the Royals early in the 2011 season, and struggled with both Trenton and Scranton at the end of the year. But he seemed to turn things around the following season while with the Cincinnati Reds organization, posting a 2.72 ERA in 34 appearances for their Triple-A affiliate in Louisville. It had seemed he’d put himself in the conversation for a big league job again. Instead, he got cut on the last day of spring training this year. 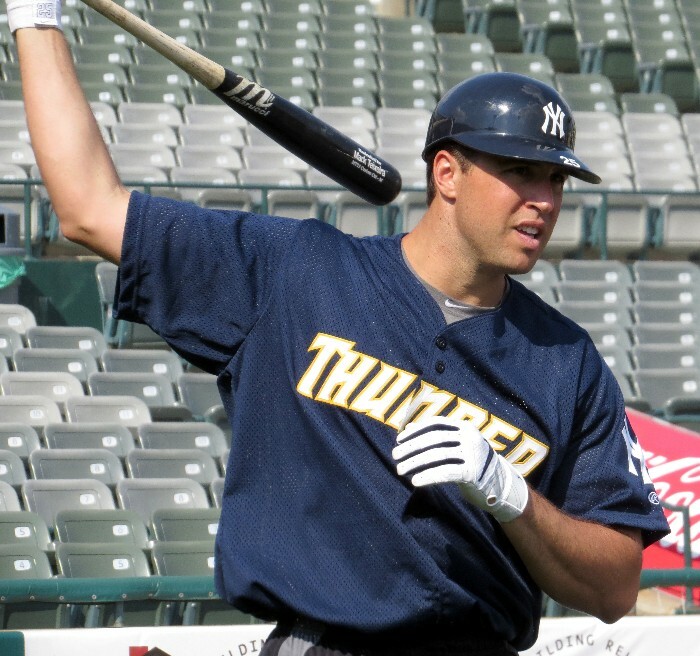 Texeira thought about hanging it up, but has instead chosen to continue his career with the Atlantic League’s Bridgeport Bluefish, where he has former Thunder outfielder Austin Krum as his teammate. Texeira leads the (13-25) Bluefish with 14 appearances, and is 2-2 with a 3.05 ERA in the Atlantic League, where the maximum player salary is $3,000 a month. 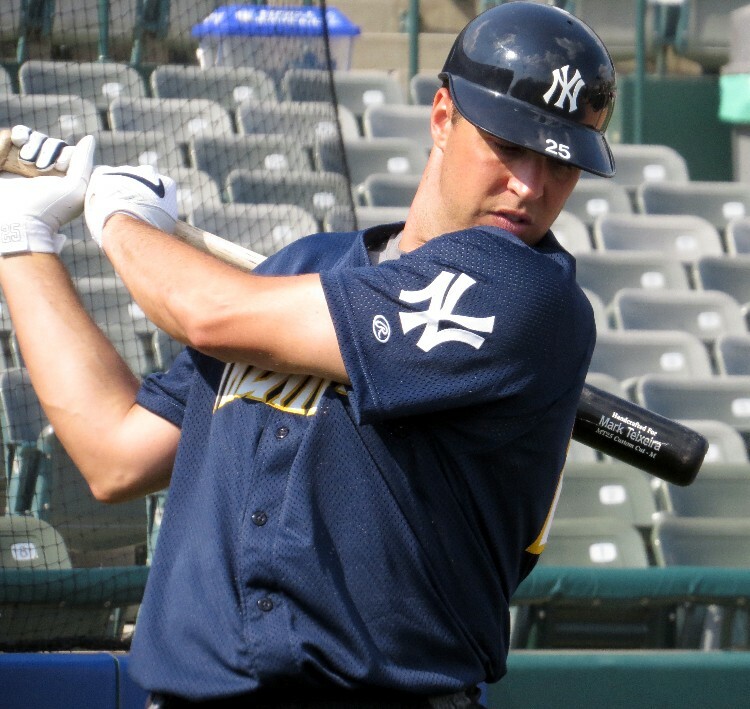 “There’s a lot of guys here that I’ve played against in the big leagues and in Triple-A, so the caliber of play here is pretty good, actually,” he said. 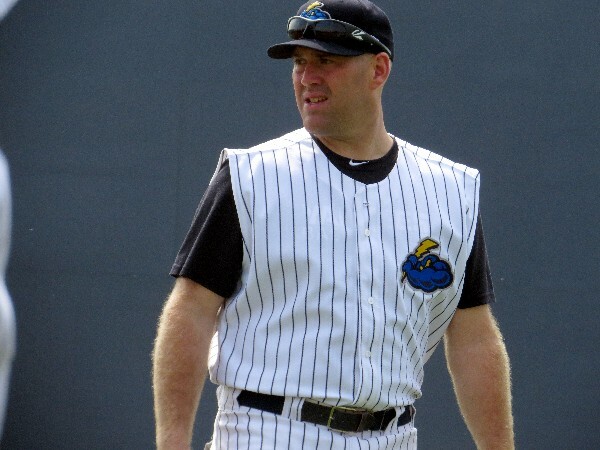 Texeira says that former Newark Bears manager Chris Jones, who was his skipper during his 2007 stay in Kannapolis, told his players back then that if things didn’t work out, that the Atlantic League was the place they should look first. He just didn’t expect that he’d need to use that advice six years later.